Faucet and sink leaks: one of the most common, annoying, surprisingly costly plumbing problems homeowners have to deal with. According to the Environmental Protection Agency, the average household’s faucet or sink piping leak can waste over 10,000 gallons of water a year. That’s 270 loads of laundry! Not only is that environmentally damaging, it’s also expensive! By getting a common leak fixed right, you’ll save about 10% on your water bills. 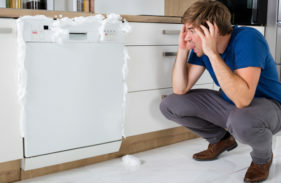 Leaks or ruptures under your sink can be even worse. Water that leaks out under your sink can damage the surrounding furniture, floor, walls, and cabinet. Leaking faucets and under-sink leaks are usually pretty easy to spot–just listen for the dripping or look for water pooling in the cabinet or on the floor beneath the sink. 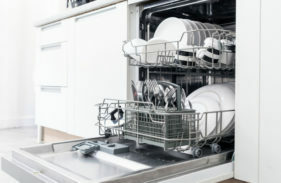 It’s not always that easy, however, especially if you can’t easily get at or even see the piping underneath your sink. In that case, there are a couple telltale signs you can look for: Watch for mold or mildew growing on or around your pipes or sink. 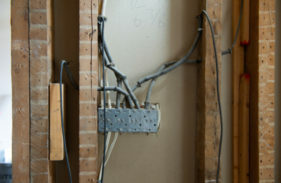 Look for damaged walls or wallpaper, especially down low where you might not normally see it. If you can, go to a room directly beneath the sink. Look for water stains on the ceiling; that’s a sign that water has been dripping onto the floor above. Finally, follow your nose! 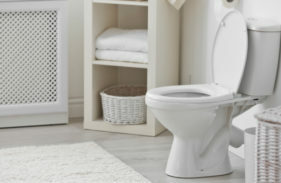 Old standing water from a leak tends to smell musty or earthy. There are a lot of reasons why your faucet or sink might be leaking. Most often, your O-ring needs replacing. 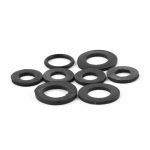 An O-ring is a ⅜ to ⅝ inch rubber washer that seals the handle of the faucet. Your faucet’s valves could also be corroded or rusted, preventing them from tightening properly. 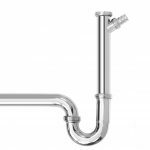 If a pipe, seal, washer or seating was bumped or wore away anywhere in the sink system, that could be causing your problem too.  The likely cause of a leak can be determined by what kind of faucet you have. There are four kinds: compression, ball, disc and cartridge faucets. If you have a compression or ball faucet, your O-ring is probably worn away. 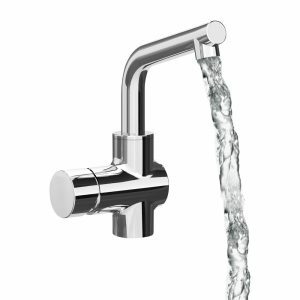 Disc and cartridge faucets are newer designs, and allow O-rings to last a lot longer; if one of them is leaking it’s possible the O-ring is the issue but less likely. No matter how the leak happened, a professional Mike Diamond home repair technician will be able to identify where any leaks are coming from, explain to you why they happened and fix the problem so it won’t happen again. If you know where your leak is, or even if you can’t find your leak but suspect you have one, give us a call. We have a lot of experience dealing with just about any kind of leak, from drips to deluge. No matter how severe the leak, the longer it keeps on dripping, the more money is literally leaking away from you. Don’t let it. Instead, call on the experts at Mike Diamond to get in, identify the problem and get out so you can enjoy a good night’s sleep, unmolested by the infernal dripping. Whether you want a faucet or sink repair, or you’d like the whole system dismantled and replaced, we’re the Smell Good Plumbers ™. Our fully-stocked trucks come jam-packed with all the tools, so whatever happens, our heroic technicians will swoop in to save the day. Feel free to bug us with questions while we’re working; we love talking plumbing, and will be happy to explain the process step-by-step. We’re not interested in guarding the secrets of plumbing like they’re some apocalyptic ancient kung fu move. If we can help you grow more confident as a homeowner or renter, we’d really feel like heroes.